Whether travelling to the United States from abroad for the first time or simply just looking to explore a bit of this big country you’ve never seen, you might want to spend a summer in the wilderness. It’s where you’ll find some of our most beautiful natural resources and understand what it is we love so much about this huge country. Why not go primitive camping so you’ll get a real feel of what the early settlers experienced upon arrival? Let’s look at the four corners to give you an idea of various climates and terrains. Starting in the far northeastern corner of the nation, check out the absolute majesty of Acadia National Park in Maine. Imagine wilderness camping in a state that is covered with more than 17 million acres of forest land. Yes, you read that right! Maine has at least 17 million acres of forest and most of that is pine. Now you know why Maine is called the Pine Tree State! While it is extremely cold and snowy in the winter months and you’ll want to head down to the Everglades in Florida, you can enjoy some of the most spectacular scenery this country has to offer in summer months when it’s warm enough to pitch a tent. While this particular park is the third largest in the contiguous 48 states, it is totally awesome because there is so much to do and see. With plenty of biking and hiking trails, swamps, and creatures that dwell in the Everglades, you’ll get a true experience of what life was once like on the interior regions of the Florida peninsula. However, you might want to check out the Woodbury Outfitters store for a handgun or rifle. You never know when a passing snake or gator might come within striking distance. That’s what makes this park so exciting, although, in all honesty, you probably won’t see many of those. They tend to be more afraid of you than you are of them! In this park alone, you’ll find at least six different campgrounds, many of which are set up for primitive camping. With a free camping permit, you can stay for free, and as long as you’ve brought enough supplies to last, you’ll probably want to stay for an entire summer – it’s just that beautiful. There are hiking and biking trails, and while all are closed in the winter months, there does just happen to be one that remains open in the winter for the fearless souls who can brave the cold. This is the extreme northwest, just across the straits from Russia! For the southwestern corner of this spectacular nation, you will enjoy Yosemite National Park in California. At least 95 percent of Yosemite is designated as wilderness, which means that no cars or permanent structures are permitted for any reason! You can see terrain that is deep in Yosemite Valley, mid-level hills, and mountains like Half Dome, which climbers from around the world come to climb each year, and the high peaks of the Sierra Mountain range. Looking for some of the world’s most diverse landscapes in one single park? That would be Yosemite. So, there you have the four corners of this 3rd largest country in the world and a great place to start if you want to get a feel for what it is we hold so dear. From arctic cold to tropical warmth, from the deepest valleys to the highest mountains, from lush green landscapes to red clay rock formations, you’ll find it all on just one summer primitive camping the four corners of the USA. 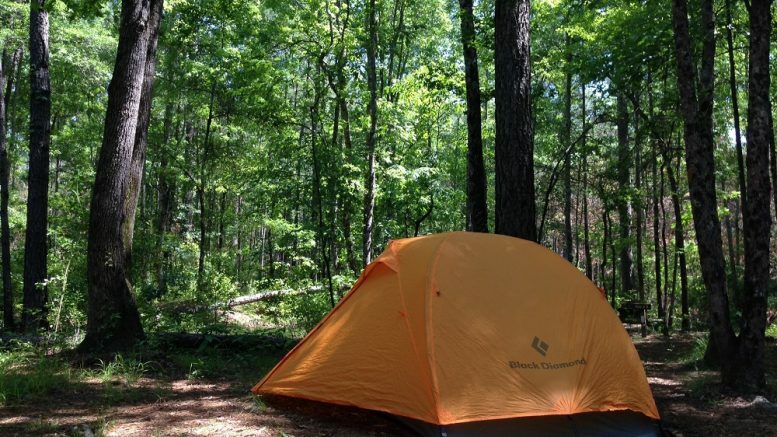 Be the first to comment on "Best Places for Primitive Camping in the United States"